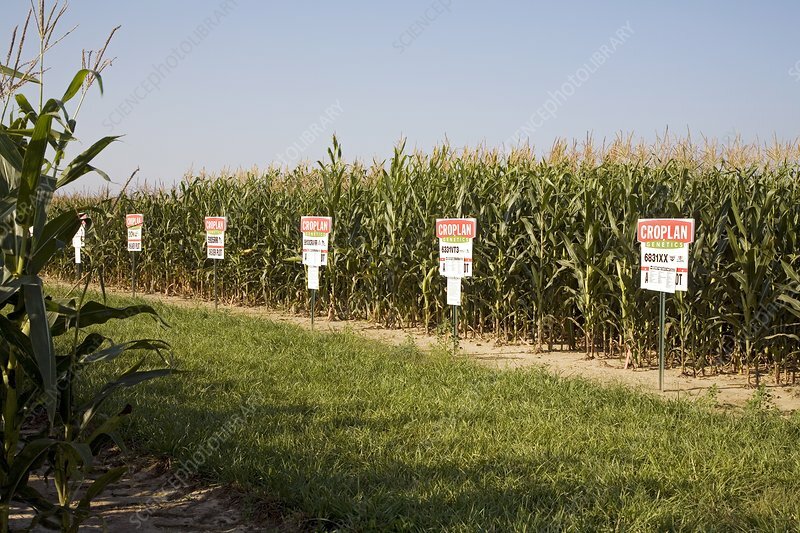 Seed company crop demonstration plot. Different strains are planted in this field to demonstrate the characteristics of various types of seed for farmers. Croplan Genetics produces conventional seed as well genetically engineered seed. Photographed in New Pittsburg, Ohio, USA.